The need for owning a safe is growing annually, as sadly the threats to our possessions increases. Excuses for not buying a safe such as “we live in good, secure neighbourhood” or “we don’t have anything of value to hide” are no longer valid. The dangers are out there and it is far better to address the situation before you are victim, rather than wish you had after the event. 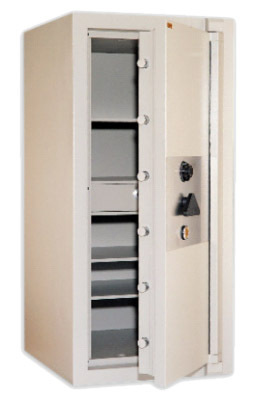 If you are considering purchasing a safe, you have made the first, very important step in protecting your valuables. Once you have made this decision, you need to choose a company who will understand your needs, listen to what is important to you, and offer helpful, reliable advice that will ensure that your valuables are protected. At London Fire and Safe , we have over 30 years’ experience in safes and document storage. During this time, we have serviced clients in Queensland and the rest of Australia giving them the peace of mind that their important possessions are safe. Experience is very important when it comes to assisting you in the selection of the correct safe. We listen carefully to what you require and then provide all the relevant information and specifics so you understand why we have made our recommendations. If everything is satisfactory, we can then organise the delivery and installation. We stock a wide range of products that are suitable for domestic, commercial and industrial use. We appreciate that different industries have different requirements and cater for all needs. We will of course arrange for the delivery and installation of your safe along with the necessary training for trusted individuals. Fires are something that none of us want to consider especially when they occur at our homes, offices or other premises. We may have plans in place such as evacuation procedures and we may be fully compliant in terms of the necessary equipment and extinguishers, but have you considered your personal possessions and important documentation? Fires come without warning, it is therefore important that your important documents, jewellery, precious stones and so on are stored safely. After all, in the event of a fire, would you have time to collect everything? To protect these things, you require a fire proof safe or a fire safe. Inside a fire safe, your belongings will remain completely safe and unharmed even if the area around them is exposed to extreme temperatures. It is always best to be proactive rather than have regrets after the event. Investing in a safe may be one of the wisest moves you make.